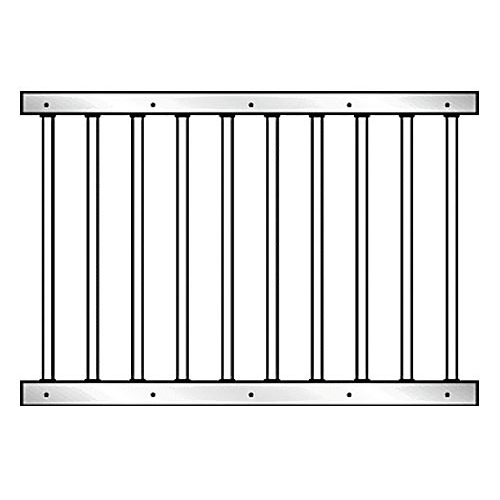 This 91" Essex standard stall grill section is made of galvanized steel. The galvanization protects your grill section against the toughest wear and tear from your horses. Great for DIY projects! This 91" Essex standard stall grill section is made of galvanized steel. The galvanization protects your grill section against the toughest wear and tear from your horses. It comes as a kit that easily assembles for stalls, doors, etc. It will provide safety for your horses and it's constructed to be very durable. Great for weekend DIY projects! - "I absolutely Love that you offer the grill section kits… we purchased these to make our current 10x10 stall larger. The grill work was very simple to install and is very durable. Thank you… This saved us hundreds of dollars."